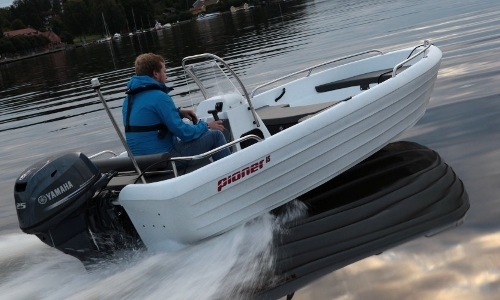 The 25 horse power boats have seats for maximum 6 people and are 15 feet long. Good for families with children or 6 adults. These boats also have console and remote controller, so it is very easy and pleasent for longer trips. Fishing is a good combination! Gas is included and life jackets we have from 5 kg and up to 90+ kg. Welcome and have fun!